When I suggested to Erin last night that I pick her up around noon today and then go to Costco in Woodland, she was very enthusiastic. Erin loves Costco. “I think we should it is scary!” She knows that it is scary going over the Yolo Causeway in the wind. I am a about to sleep. Today was reay. Mostly we stayed at the hotel. What me tired was the room. The carpetwasthink . So I walk with cane at lot. I am so tired I need to sleepprr! I can a good last night and today. But aI am going to sleep. 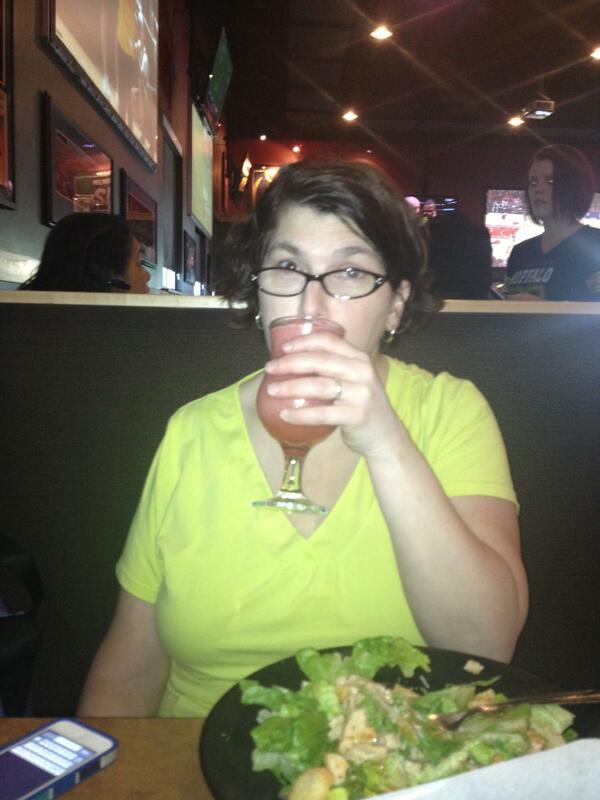 My goal, is to positive. .
Erin and her strawberry daiquiri at lunch. She got carded! I has one pee but i sleept from 1:30 ont 12. It was amzing. I love the kids, Steven, but wow it great when a good friend and you sleep. And Drimk, a almurt. This is Shannon reporting from the exciting vacation destination of Vacaville. Erin and I are spending a much needed weekend away from our families and we decided to stay close to home. So we are hanging out in Vacaville where our plans include eating, drinking, sleeping and maybe shopping. Right now we are drinking sangria in our hotel room and thinking of getting a midnight snack. This is Erin: I am happy. I am eating chips!